It amazes me week in and week out the number of sellers that say they do not want a “For Sale” board outside their property and you would be amazed with some of the excuses they use, ranging from not wanting people knocking on the door directly to the most common being, not wanting neighbours to know the property is on the market. In truth, the latter is unavoidable as your neighbour will more than likely know your home is up for sale as soon as activity starts. There are several reasons why a board is very important. 1. It is a 24 hour non-stop advert for your home, it is always outside your house day and night. Just think of the amount off people who will either drive, cycle or walk past your home and notice it is for sale. 2. Whilst your neighbours may not be happy about you leaving, they may have friends or family who want to move into the area. It will also get the community talking in a very positive way and word of mouth is a good advert. 3. There is a good percentage of buyers who will drive around certain areas that they want to live in and just look for boards unaware that certain properties are currently available yet strangely just not openly advertised as such. 4. Think about any newcomers to the area too. They usually will drive, walk or cycle around, getting used to a town or village and may see your property for sale. 5. Some buyers may have seen your home advertised in the press, online or have been sent the details by your agent. A certain proportion of these will want to do a “driveby” before making an appointment to view with the agent. You’ll no doubt spot them either driving or walking past very slowly. 6. Last but by no means least think about your actual viewers. Do you really want buyers coming to view your home and struggling to find you? So ask yourself, do you really want a board. If it’s about your neighbours, then tell them first. If you don’t want people just knocking on your door without appointments, then ask the agent to put a slip below which says “View by appointment only”. 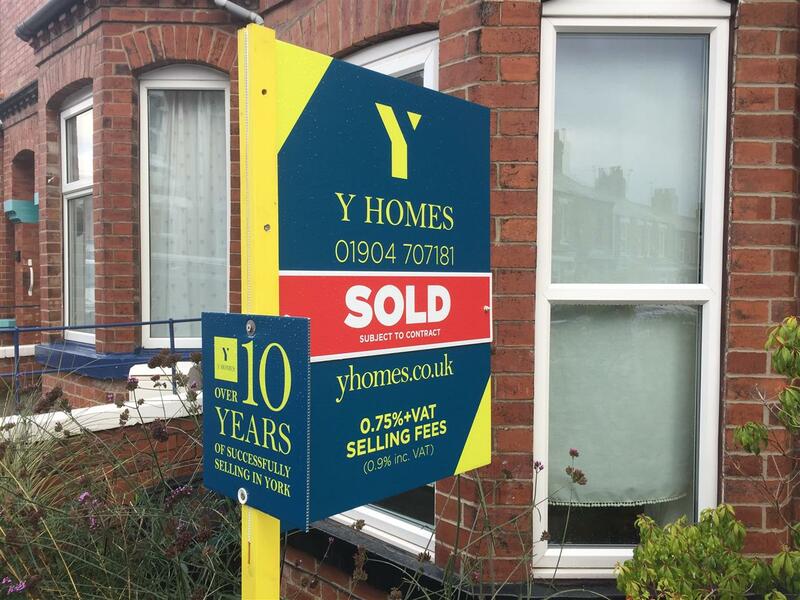 A board will really help to get you sold in no time! Sometimes old, traditional methods endure for the very reason they have always been and will remain successful.